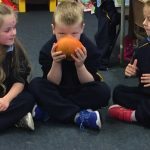 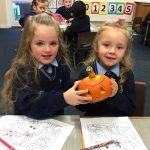 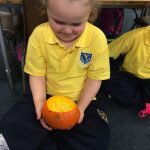 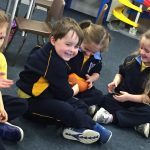 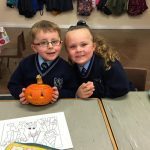 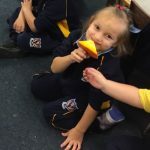 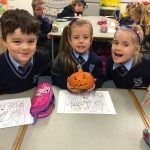 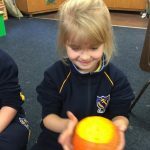 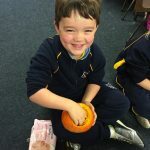 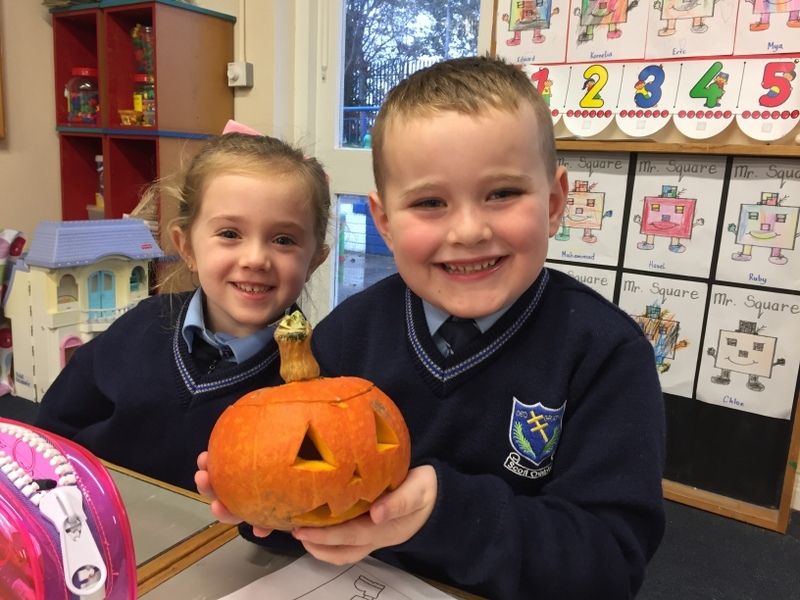 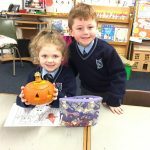 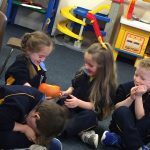 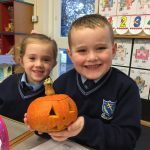 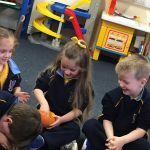 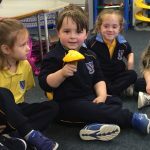 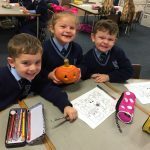 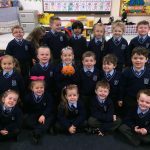 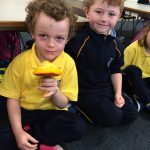 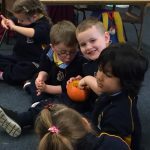 The junior infants in Room 18 have been showing a huge interest in the pumpkins that were growing in our school since September so they were thrilled when Mrs Quinlan allowed us to pick one for our classroom! 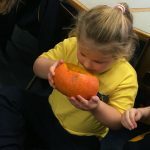 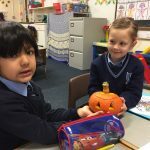 We spent time today exploring the pumpkins appearance, weight, shape, smell and even got to feel the inside which was lots of fun! 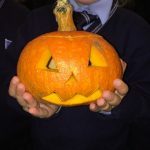 We will be carving its face and raffling it off on Friday!